It used to be that the only way to achieve a truly flush sill with a watertight door was to use an inflatable gasket. The disadvantages were requiring an inflation source, susceptibility of gasket seal failure, and large corner radii. Walz & Krenzer engineers have developed a compression gasket door capable of sealing across a flush surface. 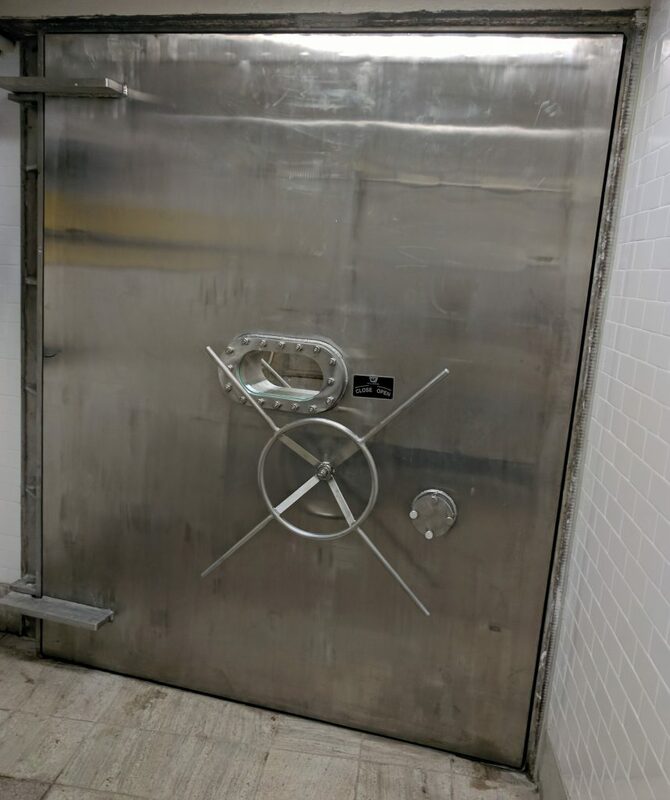 The design combined the advantages of an inflatable gasket type door with the reliability of a compression gasket door. The door mechanically compresses a bottom gasket when the dogs are fully engaged. This allows the door to seal to a completely flush sill. Unlike an inflatable gasket door design, the bottom corners are square. The doors require no air pressure or power, and are available in any size. Some manufacturers sell a “pedestrian door” which has a low sill rather than a fully flush sill. 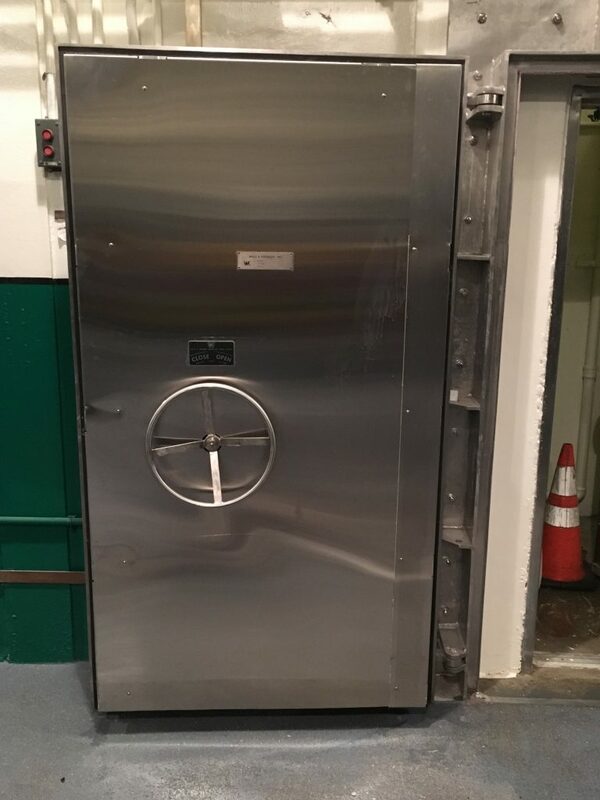 The pedestrian door is a hollow metal door with gaskets attached and it can only withstand low water pressure, while allowing some leakage. The Walz & Krenzer flush sill door is a robust watertight door that can be designed to withstand over a 30 ft head of water with zero leakage for extended duration. The flush sill door can be specified with a quick acting mechanism or with individual dogs, depending on customer preference or frequency of use. Operating Mechanism Quick-acting handwheel or lever operable from one or both sides. As an alternate, individually dogged.